96 pages all in colour. 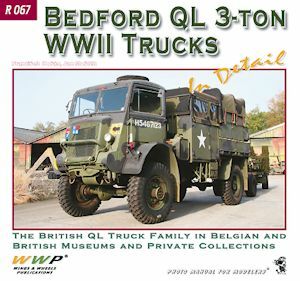 This recent Wings & Wheels Photo Manual for Modellers book deals with the British Bedford QL 3-ton Trucks of WWII and features restored vehicles in Belgian and British museums as well as provate collections. Specifically it features five QL types, QLB, QLC, QLD, QLR and QLT. 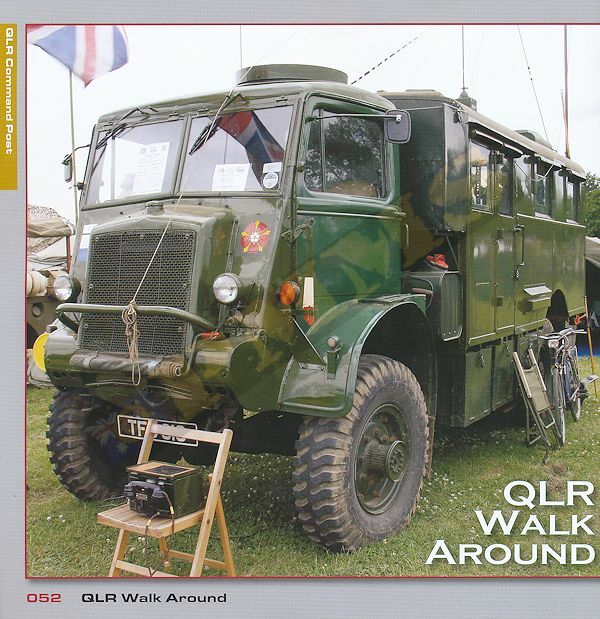 The book starts with a brief 'history and development' of the QL series with some technical info and numbers produced as well as other details before proceeding to the four types featured. 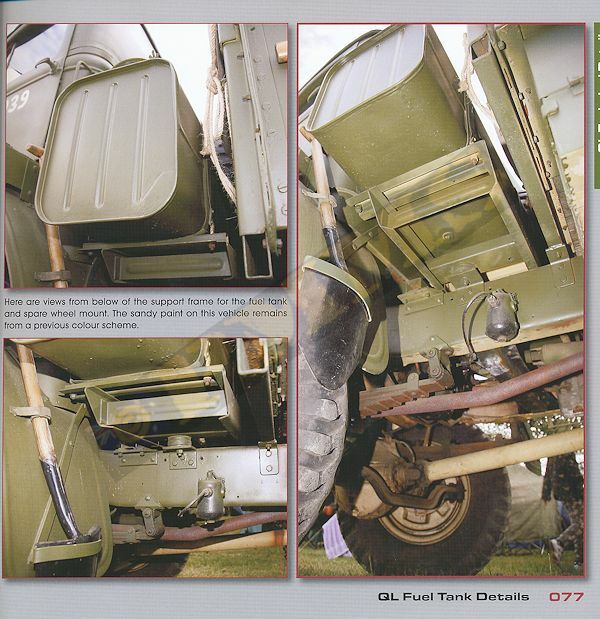 The QLD is the GS (general service) cargo version with rear cargo tray and the book has 12 pages with one photo per page giving right, left, front and one rear overall view of five different restored trucks, the semi-closeup photos give good overall details of the trucks with the section finishing with 2 pages with 4 photos per page giving close-up views of the rear cargo tray. 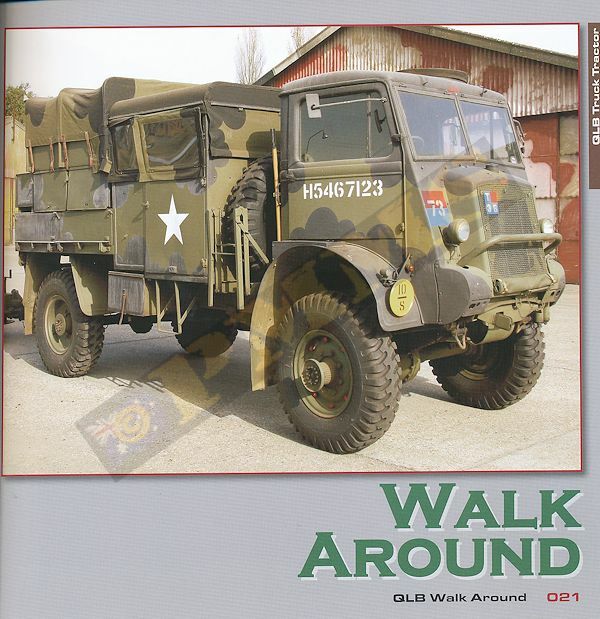 The QLB is the Bofors AA Gun Tractor, several pages have large overall view photos but most of the section has 4 or 5 close-up photos per page of details such as the exterior body work and spare tyre rack, the lower chassis and winch plus many showing the interior of the front cab and rear gun crew cabin as well as the ammo/equipment lockers. 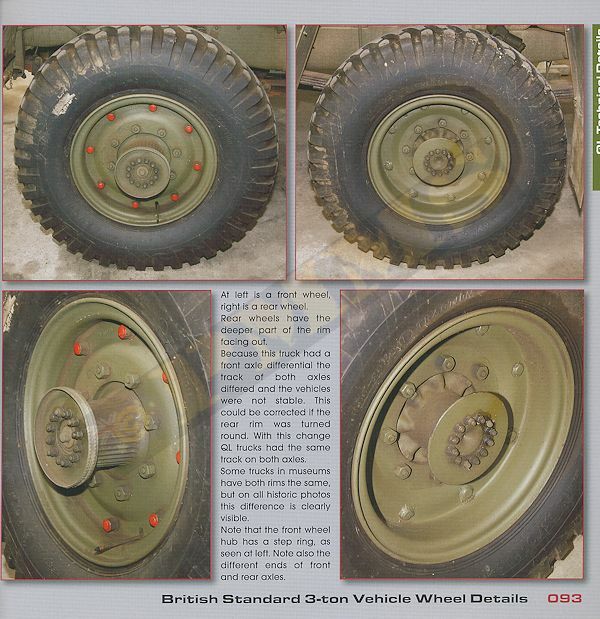 There is also two large shots of a Canadian 40mm Bofors gun in travel configuaration with this section providing excellent details of the gun tractor. 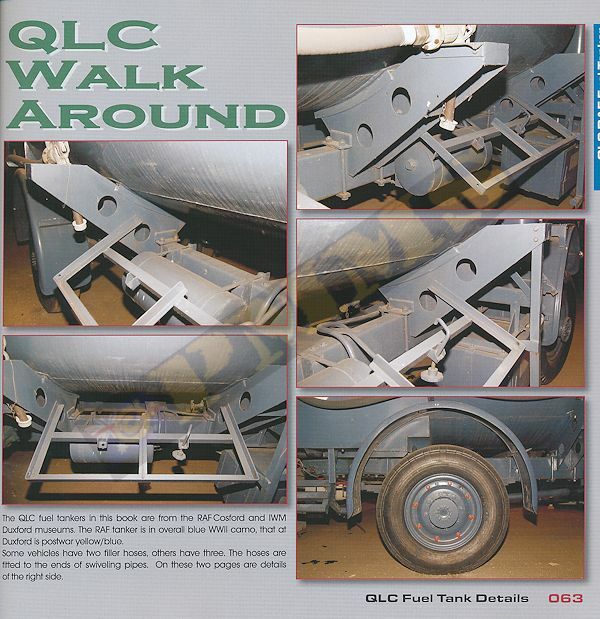 The QLT is the troop carrier version with just two full page photos from the front right and left sides that give overall views of the body details. The QLR Wireless and Command vehicle has a large rear "office" decked out with work desks and racks for the numerous radios carried. The section has numerous exterior walk around shots giving good overall views of the front cab and rear body with windows plus several pages with excellent close-up shots of the rear body interior showing the desks and cupboards without any radio equipment to give good views of the interior layout. 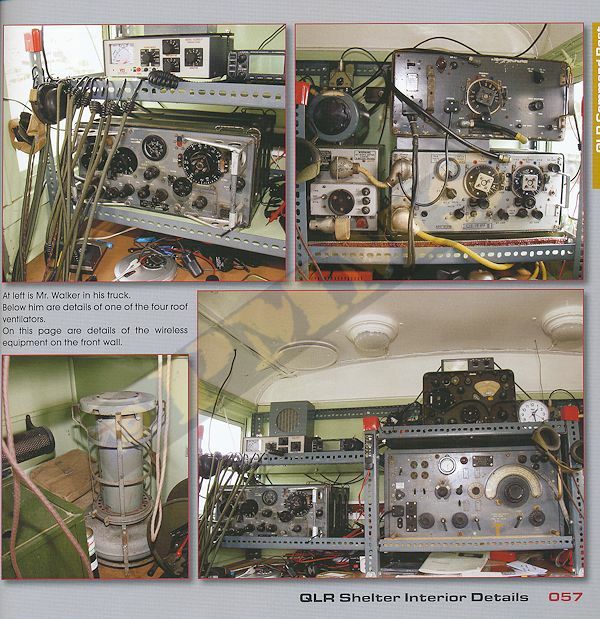 There are also four pages with the interior fully decked out with radios and telephone exchanges but the radio racks are clearly not authentic being modern metal racks as are many of the other details such as the connectors and radio leads so the modeller should take care interpreting the images. They do though give a good reference for the layout and location of the equipment when fully decked out. 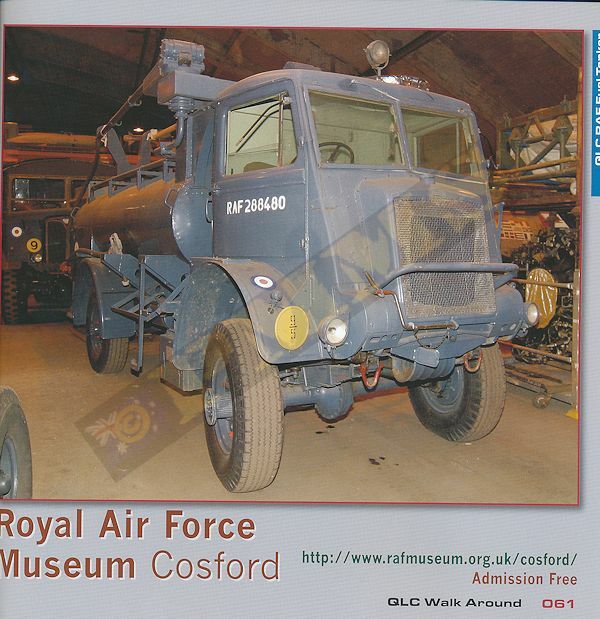 The QLC is the fuel tanker version used by the RAF and this section features a fully restored tanker from the RAF Museum Cosford and has excellent close-up shots of the rear tanker chassis and tank supports and the detail on the top of the fuel tank. Three pages have close-up shots of the open rear pump compartment showing excellent detail as well as detailed close-ups of the lower truck suspension that is also applicable to other versions. 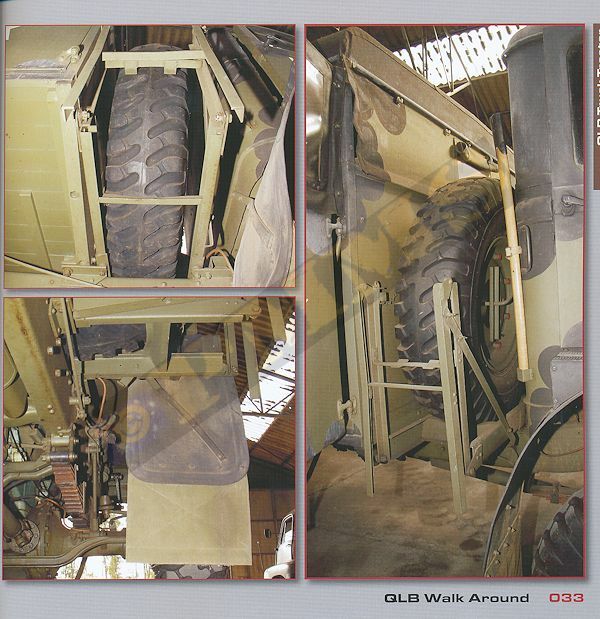 This section comprises of excellent close-up walk around images of the front cab both exterior and in particular the interior showing just about every conceivable detail. The spare wheel and fuel tank located behind the cab is also covered in detail as is the lower chassis, suspension, differentials and drive shafts along with close-up shots of the wheel rims and tyres. There are additional shots of the engine in situ with the inside covers removed and the underside oil sump for an overall excellent detailed walk around giving the many 'standard' type detail applicable to all versions. 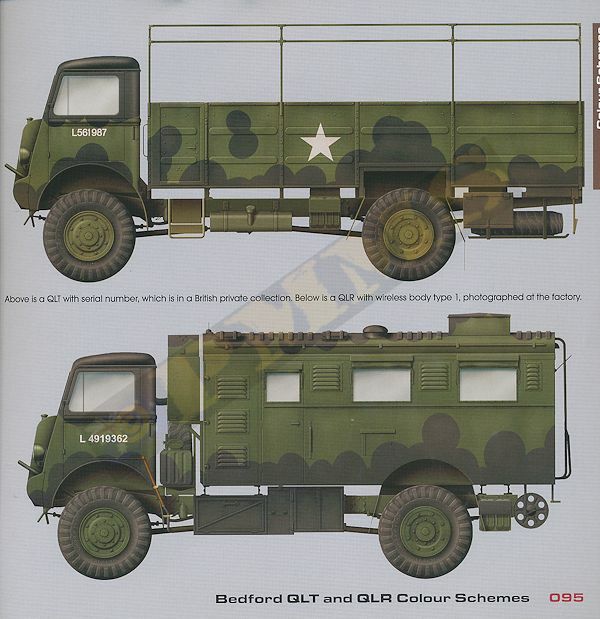 This three page section has six large left side colour profile illustrations showing some of the different paint and cam schemes worn by many Bedfords in service. 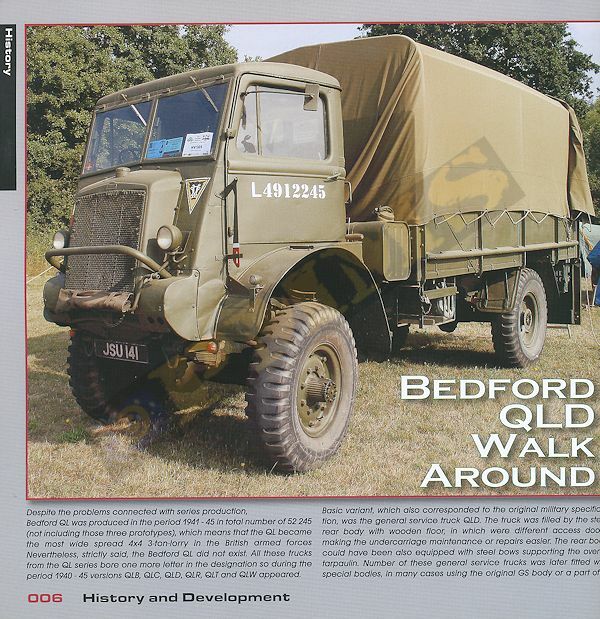 As with previous Wings & Wheels reference books this is a superb photo coverage of the Bedford QL series of trucks with close-up details of virtually every part of the body and chassis with just brief text on the history and development and the remainder devoted to the colour photos with brief captions. The mix of overall details and the specific details for the featured vehicles provides and excellent overall coverage that will be indispensable to modellers with the announced Bedford kits from IBG Models due later in the year. The only proviso is with any detailed coverage of museum restored vehicles is that some smaller items may not be fully wartime authentic and the modeller should be aware of this but the main bodywork and suspension details provide excellent details.